Looking for ways to make your trip even more memorable? 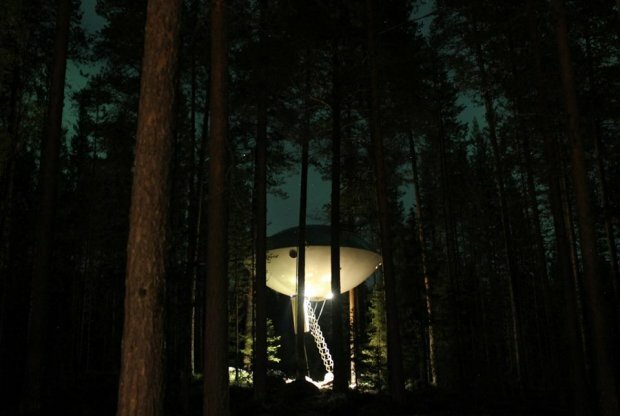 Uniquely-designed hotels may just be the way to a bewitching travel experience. Finding a nice hotel is an essential part of travelling. While 5-star hotels are in hot demand, hotel owners are cracking their brains for creative ideas to attract travellers’ attention. 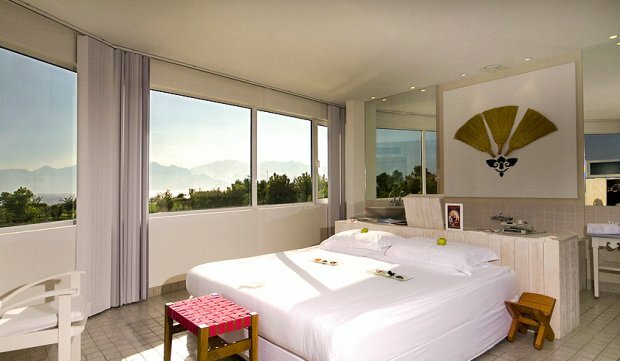 Here are some extraordinary hotels that you can consider for a more rounded travel experience. Get a chance to wake up in a warm and lush morning and find yourself face-to-face with a living reindeer grazing at the grasses when you stay at Sweden’s distinctive Treehotel. 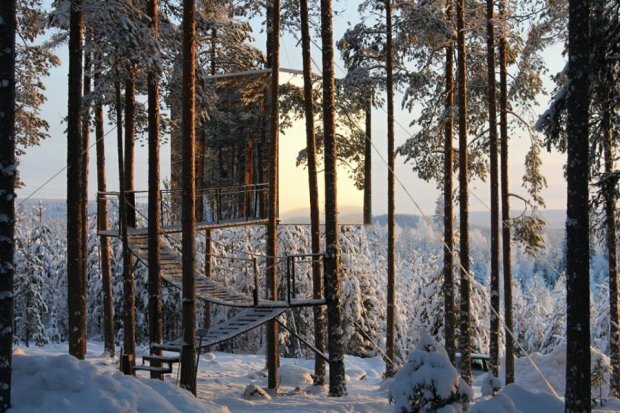 With the clever designs by leading Scandinavian architects, Treehotel aims to create a high standard accommodation where you can relax and relieve yourself of the of modern life's tension. You can also enjoy the peace and tranquility that nature brings. It is a place where a child’s imagination turns into reality. Jules Underwater Lodge is a unique underwater hotel where the guests must dive 6.5m into the sea before they can enter the apartment through the floor. Don't worry, Jules Underwater Lodge provides the “Discover SCUBA Diving Course” for guests who want to stay in the underwater lodging. Despite the bothersome procedures, the experience of sleeping, eating and playing while being surrounded by the diverse aquatic animals underwater 24/7 is a pleasantly-bizarre adventure that justifies all hard work. The fundamental principles of a good hotel are safety, cleanliness and good hospitality. Karostas Cietums breaks the basics and provides the guests with the most horrifying experience they can ever imagine. 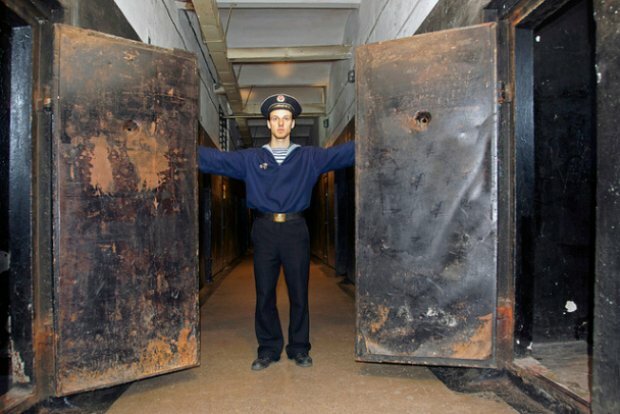 To give the guests the unforgettable experience, the former military prison invites them to a one-night only stay where the guests will live the life as prisoners - sleeping in real grungy prison bunks, consuming prison food and tolerating abuse by the prison guards. To make the experience even more realistic, the guests are also handcuffed and stripped of their belongings. The hotel is only available from May to October every year. Why go for rooms with a view when there are rooms with multiple views? While there are many revolving restaurants already in operation, the Marmara Antalya Hotel bills itself as the world’s first hotel with a revolving loft that rotates between two and 22 times per day. With such capability, you can never get tired of the scenic views from your hotel room. However, if the unique revolving loft is too much for the faint-hearted, the Marmara Antalya Hotel also has rooms within its stationary building for guests to choose from. The contemporary hotel design of a whimsical and spacious ambience coupled with the dramatic scenery around one of Turkey’s most beautiful cities is sure to be an excellent pick. 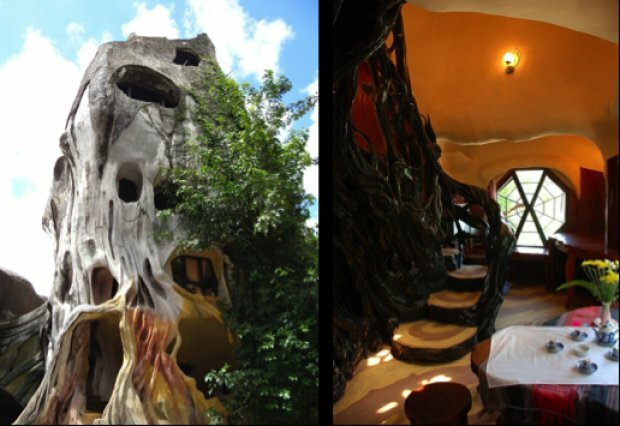 Otherwise known as the “Crazy House”, this Dalat hotel is an unconventional building with guest rooms that are ornately designed with trunks and branches accompanied by warm orangey lights to create the atmosphere of being in a “fairytale house”. This out of-the-box concept of incorporating nature such as animals, mushrooms, spider webs and caves into one design that resembles a giant tree is sure to make you fall in love with this place. The idea of a biological design came from the natural environment encircling the Da Lat City, where the guesthouse now stands so that you can experience the ecological world. If you are a nature-lover, this guesthouse is perfectly suited for you. There are 10 themed guest rooms, each of which represents an animal that can range from a termite-themed room to a kangaroo-themed room. The furniture is specially crafted to resemble nature. For instance, in one room, the staircase is shaped like tree branches while in the other, the fireplace looks like a bamboo. Each room is so intricately and creatively designed that you will never get tired of exploring the building. If you’re not staying the night, you can also come for a day visit. Looking for more hotel options? Check out TripZilla's Hotel Deals!